I didn't enjoy Zen Ghosts as much as Zen Shorts. I'm not as drawn to koan as I was to the zen shorts. 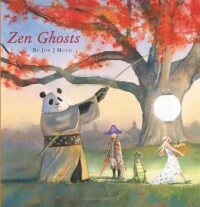 However, Zen Ghosts is still a good, entertaining story.